Real estate is a part of our everyday lives, encompassing where we live, work, invest, and conduct a vast array of activities. As a result, we may engage in a wide variety of real estate transactions, ranging from the purchase or sale of a home to the large-scale development of an apartment complex, commercial building, or mixed-use development. Real estate is by its very nature a legal process, requiring agreements, contracts, contingencies, titles, surveys, and many other complex components. 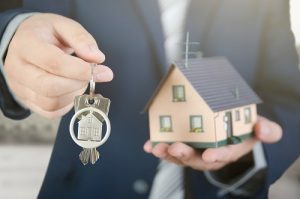 In order to ensure that your interests are thoroughly protected through every phase of a real estate transaction, it is highly advisable to enlist a knowledgeable and experienced real estate attorney. At Del Sardo & Montanari, our seasoned real estate attorneys walk you through every phase of the real estate process, keeping you informed and engaged and ensuring that you can make decisions with confidence. With the specialized knowledge to effectively address issues involving banks and lenders, government and environmental organizations, title companies, zoning and planning boards, and many others, we are well-equipped to handle every facet of your case to achieve the best possible outcome. Through our work on behalf of individuals, developers, and companies in Wayne, Clifton, Totowa, Montclair, Little Falls, and throughout Passaic and Essex counties, we have earned a reputation for superior representation. The head of our real estate practice, Senior Partner Darren J. Del Sardo, has been honored with inclusion in the Super Lawyers List published by Thomas Reuters every year since 2011. In addition, Mr. Del Sardo was recently named among the Nation’s Top 1% by the National Association of Distinguished Counsel. To discuss your real estate matter with one of our New Jersey real estate lawyers today, contact our Passaic County offices at 973-233-4396 for a cost-free consultation. Our New Jersey real estate lawyers can assist you with commercial and residential real estate matters, helping you to navigate through the entire process, both pre- and post-transaction. To discuss your current situation and find the answers to your questions, contact our offices today. Consultations are always provided free of charge.